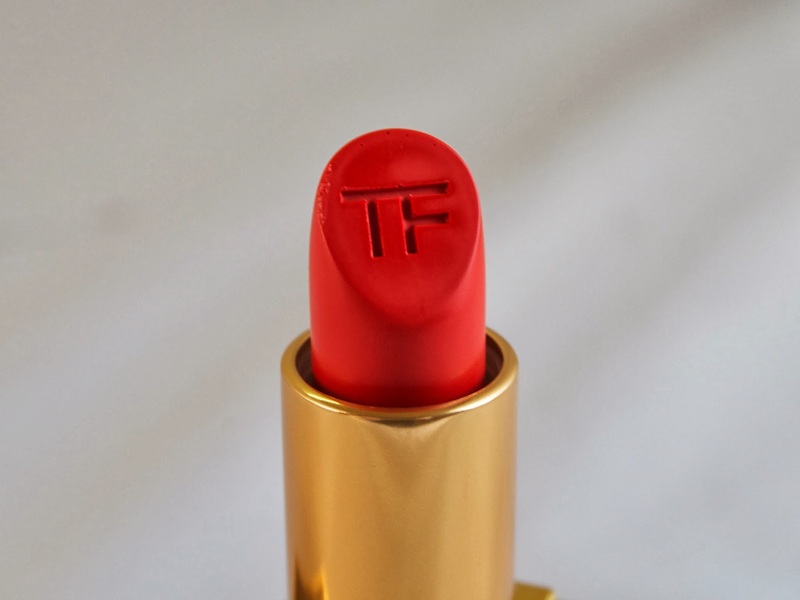 Tom Ford Lip Color in Wild Ginger has become a bit of a cult favorite over the past few years. It is a warm, vibrant red orange. 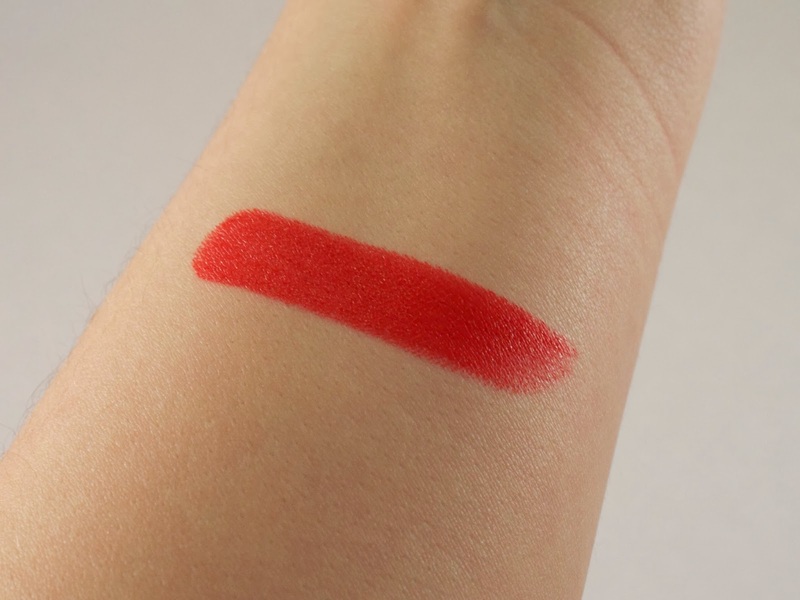 It is also $49 and a shade I would never, ever normally consider wearing. I grew up adhering to the school of "warm skintones with warm colors, cool skintones with cool colors." Frustrated with how limiting that is and how many beautiful shades it eliminates, over the course of the past year I have begun to take a "screw that" attitude and now wear the shades that I want to wear. Including the warmest of reds and the orangiest of oranges. No matter how strongly I was drawn to Wild Ginger, it was nonetheless a little bit painful to fork over the $49 for this product. But, after seeing it on a vast number of beautiful bloggers, I wanted to get my little paws on it, pricetag be damned! 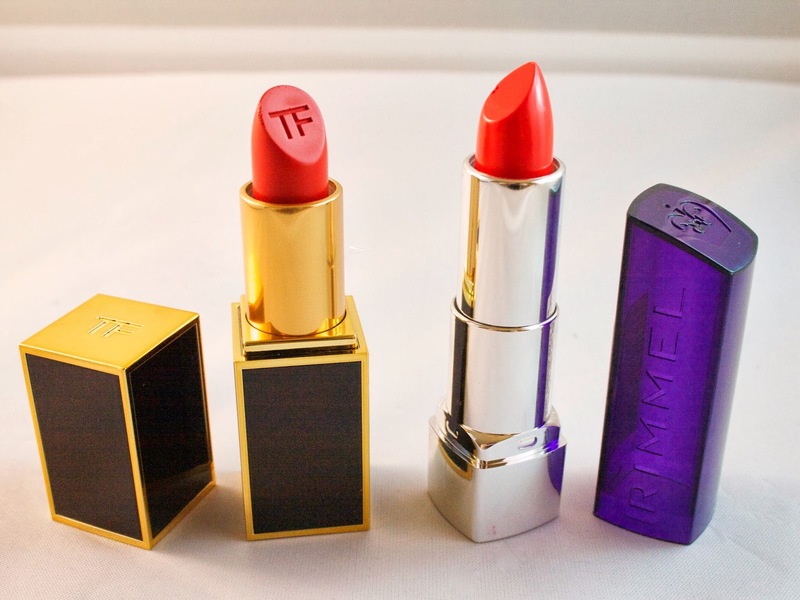 Undoubtedly, there are other red orange lipsticks out there. But there is something about the clean, minimal, and almost masculine Tom Ford packaging that won me over. I'd also been wanting to try out the formula to see if it truly warranted the high price. 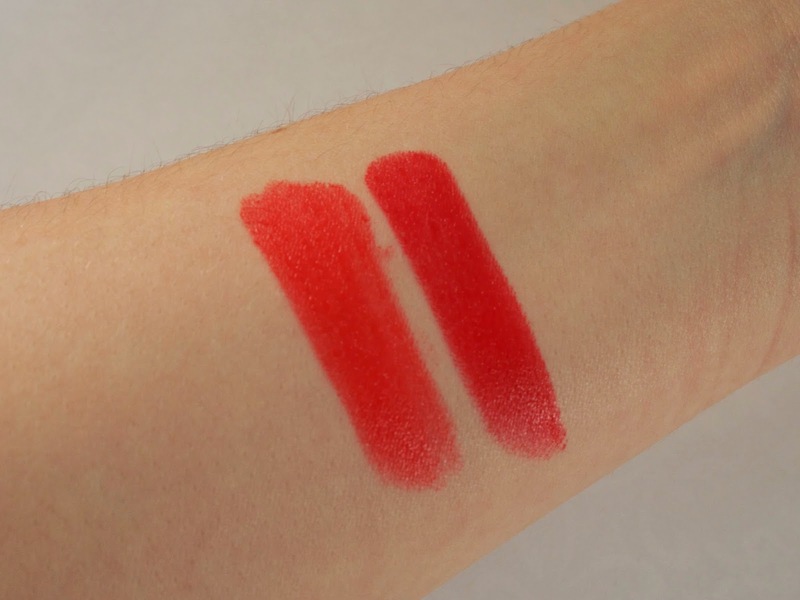 Wild Ginger is intensely pigmented (you only need one swipe and you are totally good to go) and has exceptional lasting power. I only need to touch up once throughout the day when I'm wearing this! It does transfer onto mugs and glasses, etc. but the color is intense enough that you shouldn't need to reapply every time you eat or drink. And despite the boldness of the shade, I've found that I don't need to wear a lip liner with it. I've not had any problems whatsoever with the creamy, moisturizing formula bleeding or feathering. 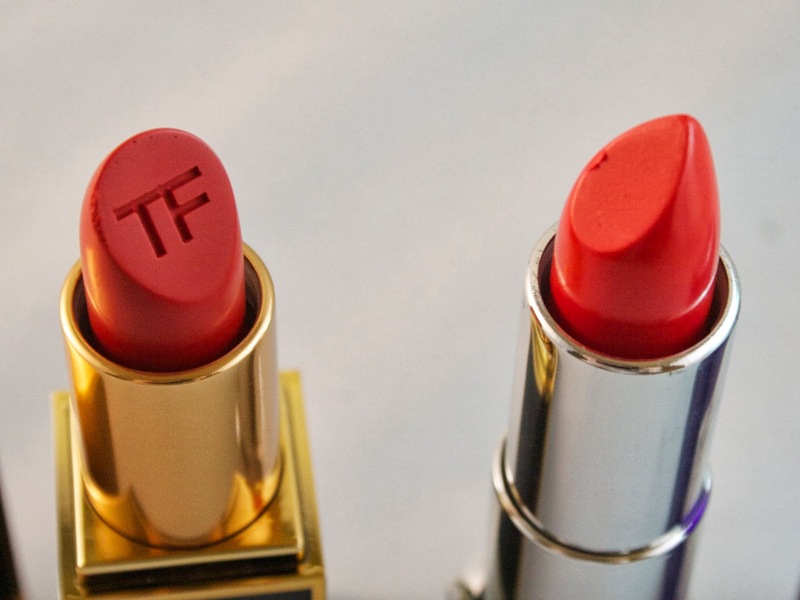 Given the fact that I, being cool toned and fair, can get away with wearing this lipstick, I have a hard time imagining who couldn't pull this off. 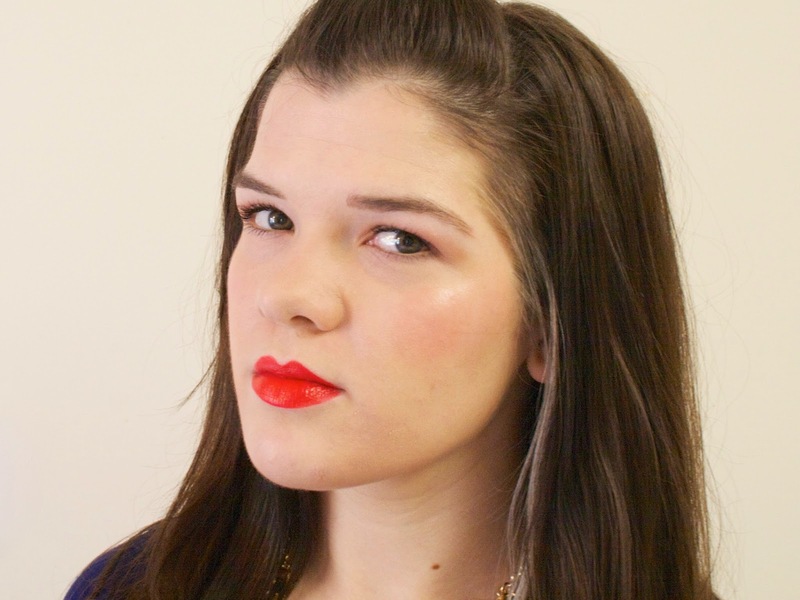 When I wear Wild Ginger, I keep the rest of my makeup warm and neutral, so as to not compete with my bold lips. There's something a bit French about it, n'est-ce pas? In the interest of science, I also wanted to compare Wild Ginger to another 'ginger' lipstick in my collection, Rimmel In Love with Ginger. A large part of me was terrified that the color and consistency of these two would be so similar that I would instantly regret having splurged on Wild Ginger. Luckily, that is not the case! 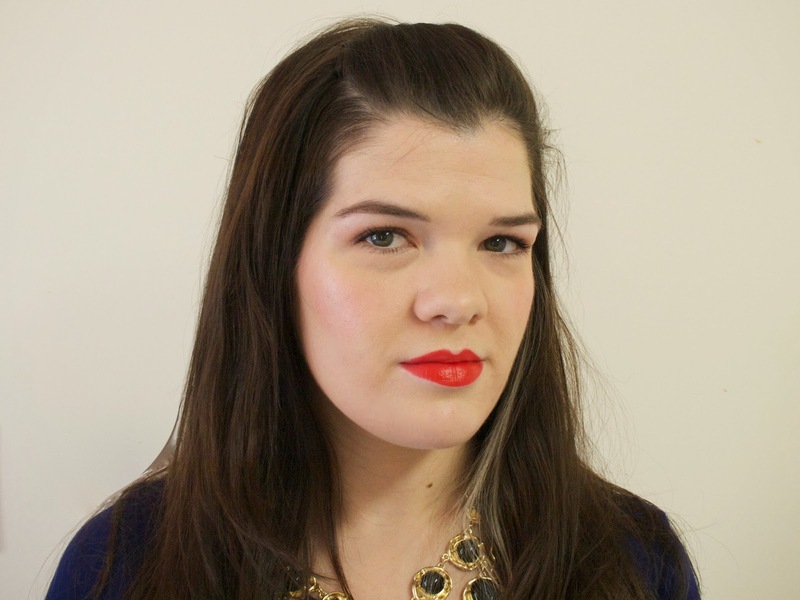 In Love with Ginger, from the Rimmel Moisture Renew line, is a beautiful lipstick with wonderful pigmentation. The shade, while in the same general family of 'orange with a hint of red', is quite different from Wild Ginger, though. And it doesn't feel nearly as moisturizing on my lips. But, it's a great shade. If you aren't super confident yet about wearing colors outside of your comfort zone, I recommend going to pick this up and using it as a trial run. Rimmel In Love with Ginger has been widely available in the UK since last year, but I've still not seen it hit Stateside. It is on ASOS, however (which always has worldwide free shipping). 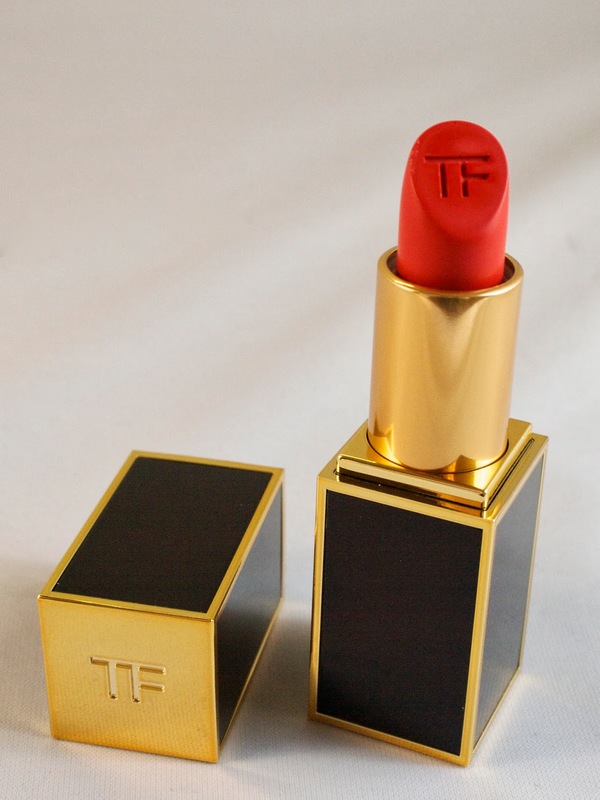 For those interested in Tom Ford Wild Ginger, it is available from a number of retailers including Nordstrom. Do you have Wild Ginger? I'd love to see pictures, so leave a link below. What other shades are you loving at the moment?